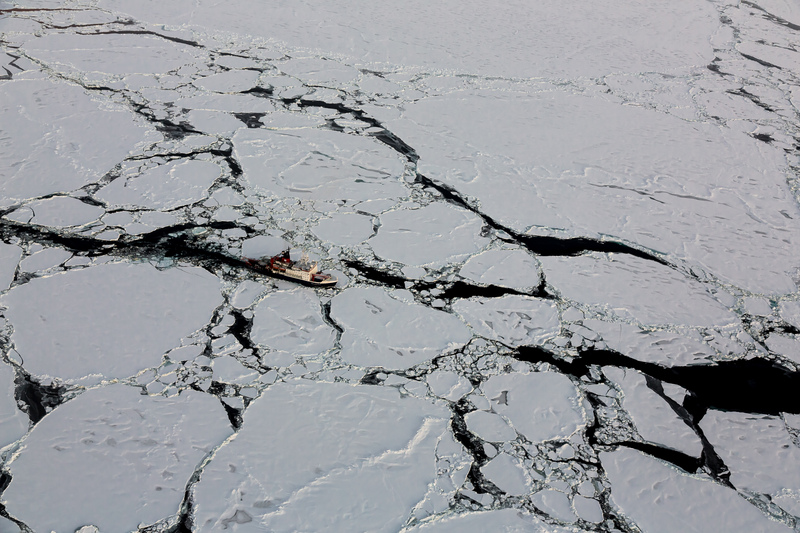 While the Arctic sea ice extent dropped to a record low in september 2012, the research vessel Polarstern cruised the central Arctic Ocean. My research includes sea ice thickness measurements from helicopters, fixed-wing aircrafts and satellites for a better understanding of the observed changes in this remote polar environment. The photo shows Polarstern at 88°24'N in late September, pounding through smaller ice floes.